ComPro · GenR8 - Marketing Evolved. 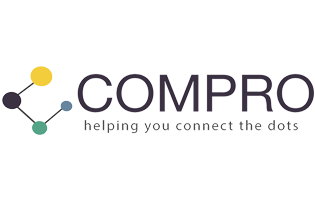 After working with ComPro for seven years, it was time for a brand and website facelift! We created a new strategy and approach revolving around the tagline, “Helping You Connect The Dots”., to make insurance process easier for everyone. We created a new analysis of their target markets and assessed their goals and evolution. The goal was to not only market their brand, but also individual sales team and market segments. A new, simplified logo, themed after “connecting the dots” related to the new branding strategy was created, with distinctive colors playing off of their very products and market segments. 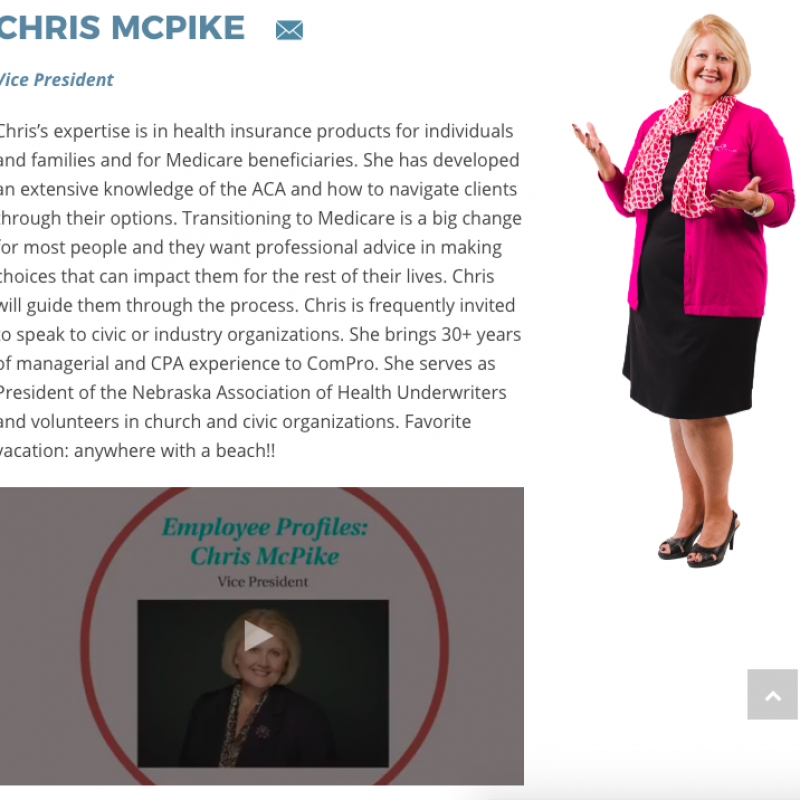 Playing off of the refreshed strategy, GenR8 created new video content for the website messaging, social media and its segmented audiences that would help educate and navigate the health insurance services ComPro offers. From various fun and carefree to focused and targeted, these ongoing videos help to inform and cement ComPro’s industry expertise and approachable brand for consumers. The “Fun with Health Insurance” series began in February 2018, and is inspired by the Big Bang Theory TV show. Brian Northup and Colby McPike are co-hosts of the series, aiming to prove that with ComPro, health insurance is not as complicated as it is believed to be. Watch the series here. 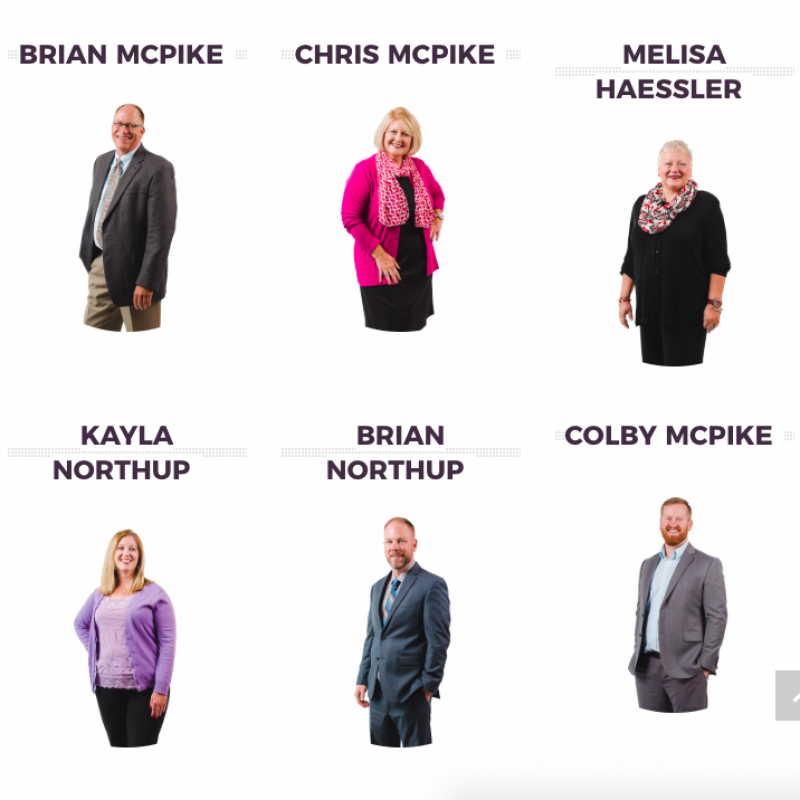 We gave them a website revamp, and implemented our new “Helping You Connect The Dots” strategy, that emphasized on not only the owners, but also the staff members. They each had their own video and profiles. 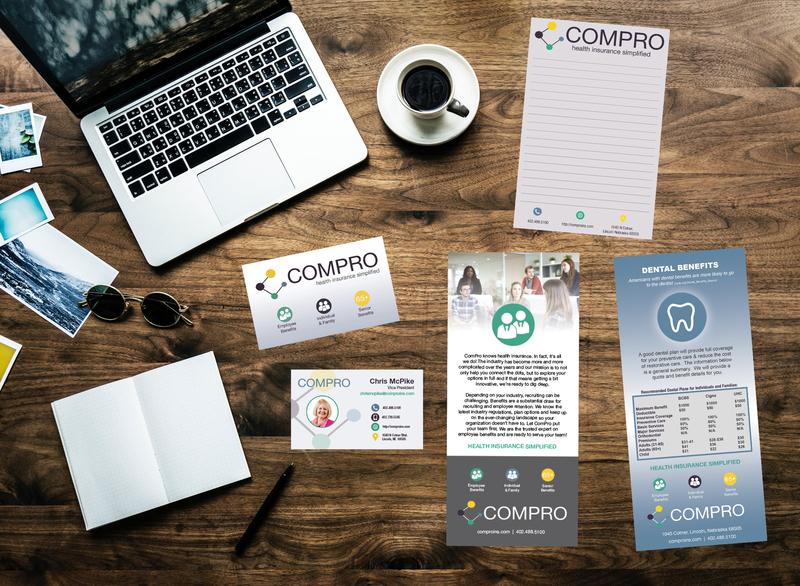 We designed promotional print material for ComPro to market their new brand, and to assure consistency. The print materials we designed include rack cards, business cards, notepads, postcards, and also promotional items such as tumblers and pens.